Publisher: Jerusalem (Israel): Gefen Publishing House. 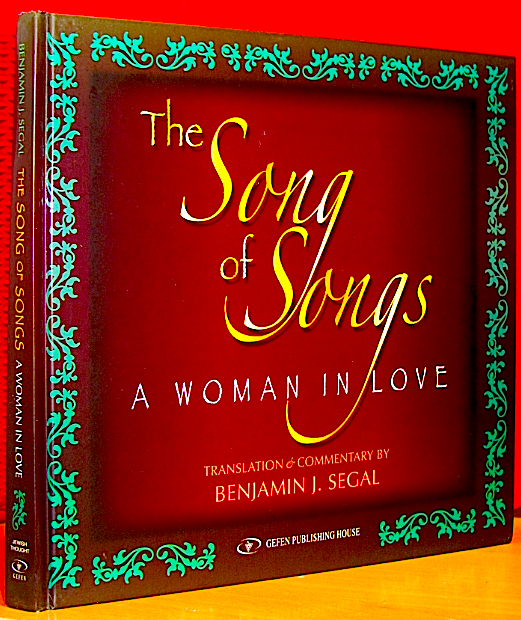 Contents: Song of Songs. – Introduction: A Unique Poem; Message & Content; Translation and Interpretation. 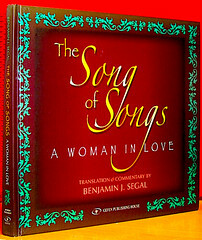 Prologues; Rereading the Song of Solomon; Notes; Overview: A Woman in Love: The Nature of the Song, Love in the Song of Solomon, On Translating and Interpreting the Song of Solomon; Commentaries: A Note on Notes; Excursus on Love Human, Love Divine; Appendix: The Style of the Poet; Selected Biography. Comments: Hardcover octavo w/ DJ; sewn binding, XII & 192 pp. with vignettes on every page. 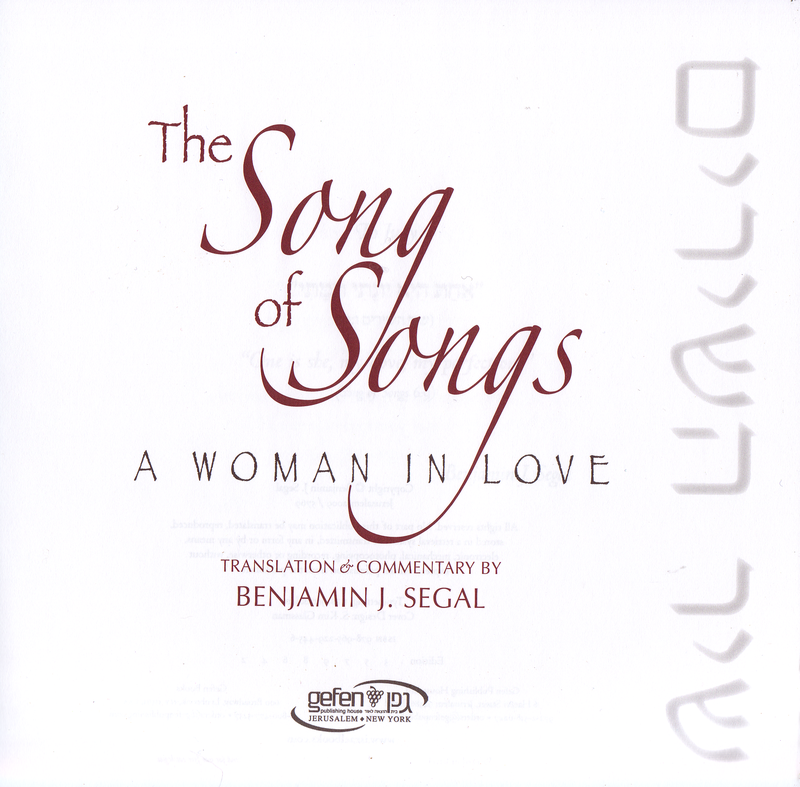 Scripture texts in double column; Song of Solomon–text divided into 27 songs. Text and primary commentary make up 50 percent of this book, the other half are notes on various issues that this scroll presents. The notes on the text relate the Song to the rest of the Tanakh, give alternate readings etc. 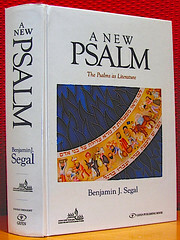 Though the book contains the Hebrew, it opens from the left. Birnbaum´s remark: This fantastic, bibliophile, and very carefully crafted book is a compendium and an encyclopedia to the Shir haShirim, furthermore it provides pure reading pleasure. I highly recommend it! Publisher: Jerusalem (Israel): Schechter Institute of Jewish Studies / Gefen Publishing House. Contents: Book I to V of the Psalms. 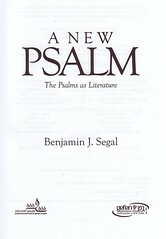 – Preface • Introduction: Approaching Psalms • Psalms, An Overview • The Poetry of Psalms • History • Bibliography: Citations within the Commentary. Comments: Hardcover octavo, sewn binding, XLII & 694 pp. Scripture texts in double column per page, followed by the commentary. headings are, of course, translated. Copious footnotes with alternate readings and brief explanations. 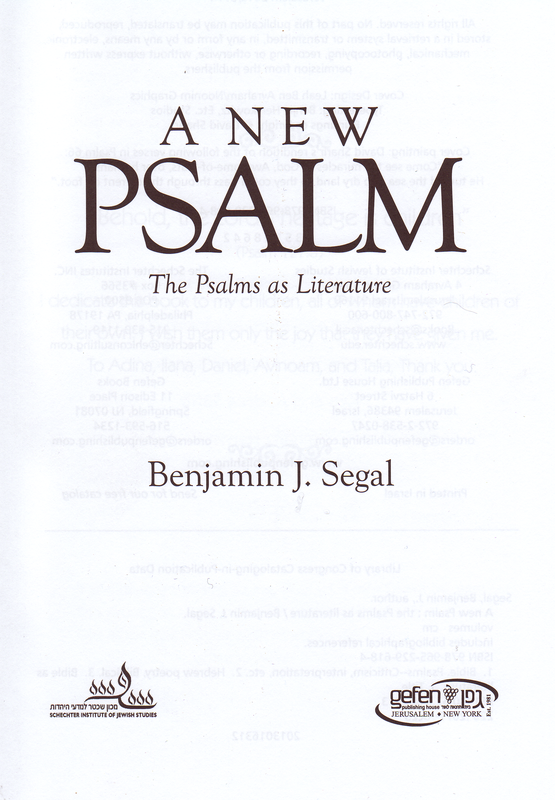 Benjamin Segal wrote a Preface, dated Jerusalem, 2013; we read, »Humbled before the incredible achievements of the psalmists, I can only modestly offer this commentary and guide to enjoying the Psalms as literature. If I hereby introduce any to this challenging and edifying literature or add new insights for others, my reward will be complete.« – Hebrew text on cover painting: David Sharir´s rendition of Ps 66: 5, „Come, see the miracles of God, Awesome–of–feats, over humans. He turned the sea into dry land so they could pass through the current on foot." As with the above book, it opens from the left, though it contains the Masoretic text. 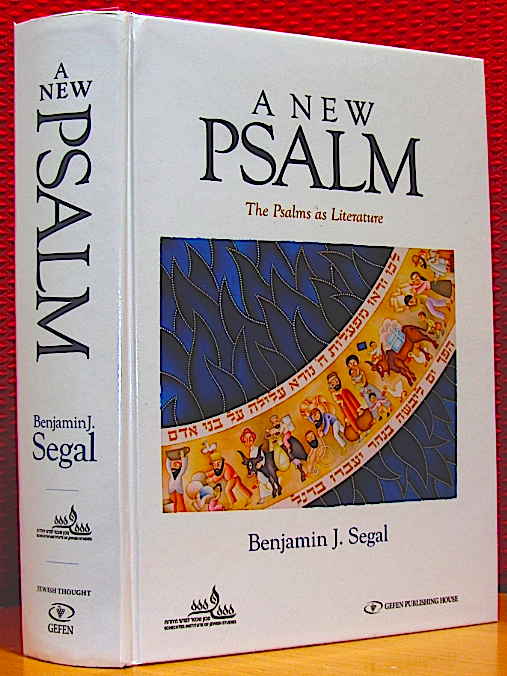 Birnbaum's remark: This is one of the most informative Psalms books I have on my shelf. It is designed to answer a variety of questions one might have to the text. The commentaries are divided into different textual approaches.